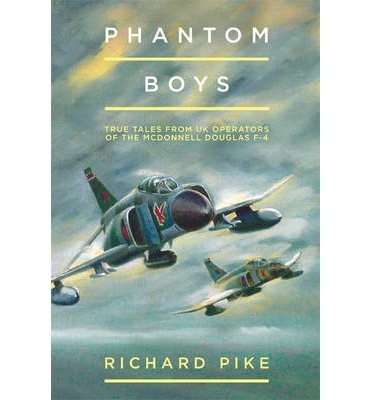 From Richard Pike, best-selling author of Hunter Boys and The Lightning Boys series comes the newest addition to Grub Street's popular Boys series; Phantom Boys. Originally developed for the US Navy, this twin-engined supersonic long-range fighter-bomber first flew in the spring of 1958. It then entered service for the US Navy in 1961, and in 1969 with the Fleet Air Arm and RAF in the UK. Regarded as one of the most versatile fighters ever built, the Phantom F-4 was the US Navy's fastest and highest-flying aircraft. It was flown by both US military demonstration teams (Navy Blue Angels and the Air Force Thundercats) from 1969 to 1973. It ended its service in 1991 with the RAF. But it continued to serve a variety of air forces across the world, with some still in service fifty years after its first flight. 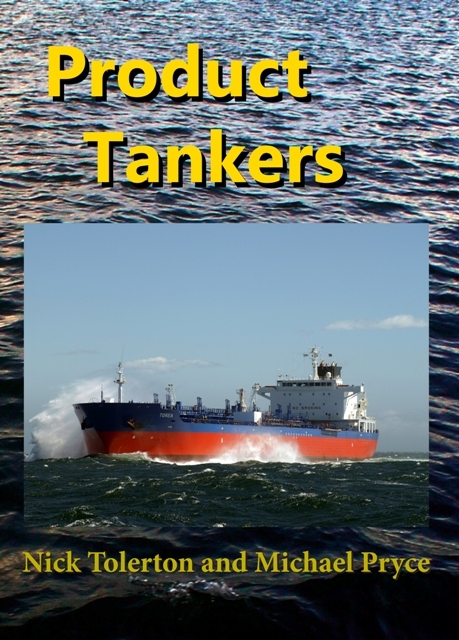 Throughout the twenty chapters of this book, thirteen contributors will take readers across the world with adventures in the Falkland Islands, the United States of America, the United Kingdom, the Far East and Germany. 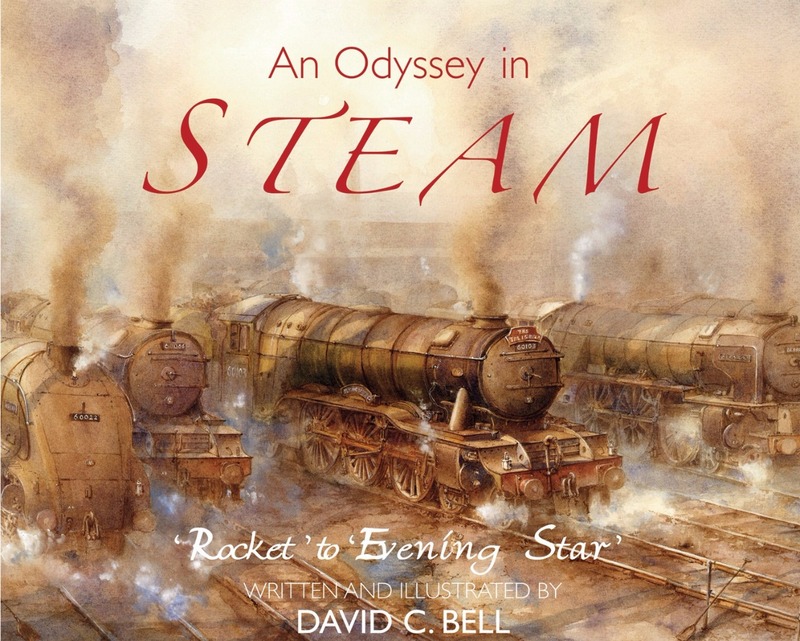 There are anecdotes of reconnaissance missions, encounters with the Russian Tupolevs, record-breaking flights and life on HMS Ark Royal.The scope, flair and pace of the writing in this book will appeal to the general reader as well as to the enthusiast. 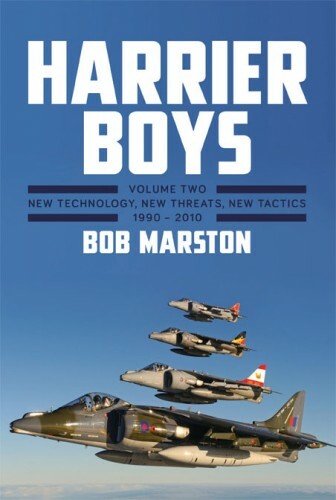 In the second volume of Harrier Boys, as with the first, the history of this remarkable aircraft in service with UK armed forces is illustrated through personal reminiscences of the people who worked with it. The book begins with explanations of the mature concept of operations with the Harrier GR3 in the Cold War. It then progresses through the evolution of Harrier II, starting with the GR5, and updates to the Sea Harrier, while the potential battles to be fought necessitated ever-changing tactics and technology. “Surely the Wairarapa doesn't have a maritime history, there are no ports or wharves and only a few fishermen earning their living from the sea.” This has been a commonly held view, and the reason this book has not been written until now. In fact, the maritime history of the Wairarapa coast is both fascinating – and important. The sea lane from Auckland to Wellington, via the Wairarapa coast, was a critically important highway during the 19th century. Coastal shipping, with its use of surfboats, delivered the essentials of life ashore and took off wool, tallow and timber in the decades before roads were carved through the bush to remote settlements and sheep stations. 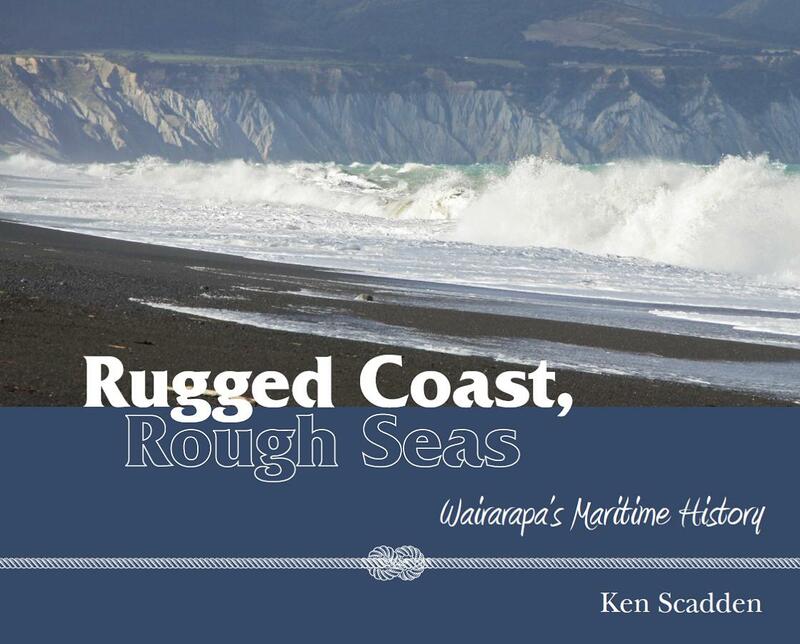 Rugged Coast, Rough Waters tells the story of shipping – of national and local importance – on the Wairarapa coast. It also document’s the coast’s Maori maritime history and the barely remembered sealing, whaling and flax industries that once flourished The unforgiving, exposed coastline and the storms that rage along it have resulted in over 70 shipwrecks and more than100 lives lost. 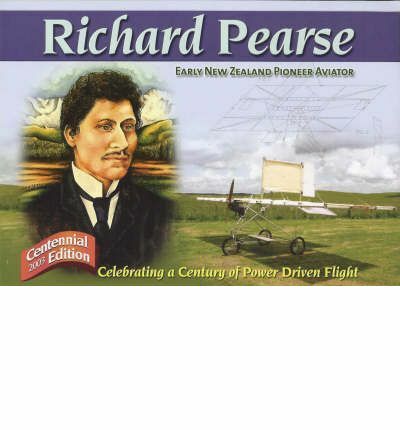 The first edition of "Richard Pearse" was published to coincide with the IATA conference held in Auckland in 1978. This centennary issue is the fourth edition, reprinted for the centennial of power driven flight, 2003. We do not know what inspired Richare Pearse to try to emulate the birds. From what little we do know of him, Richard Pearse would most probably have wished to remain unknown. Indeed, if he dreamed of aircraft of the future he could never have imagined where his beginnings and the work of other inspired pioneering aviators would lead. An ideal gift for lovers of fine photography, fast cars and a fascinating decade A worthy tribute to one of motor sports’ most exciting eras The masterpiece of one of Formula One’s most important observers, Rainer W. Schlegelmilch’s book on the most fascinating era of car racing is now available in a smaller format for a special price Few spectator sports generate such excitement as Formula 1. The name refers to the most advanced and competitive of the FIA’s racing formulae. It’s a raw combination of speed, skill, and that certain hint of daring. Journey back in time to the glory years of the 1960s. Marvel at the vintage cars, big-name champions and heart-stopping victories. All the big names are here: Jim Clark, Jacky Ickx, Jack Brabham—just to name a few. 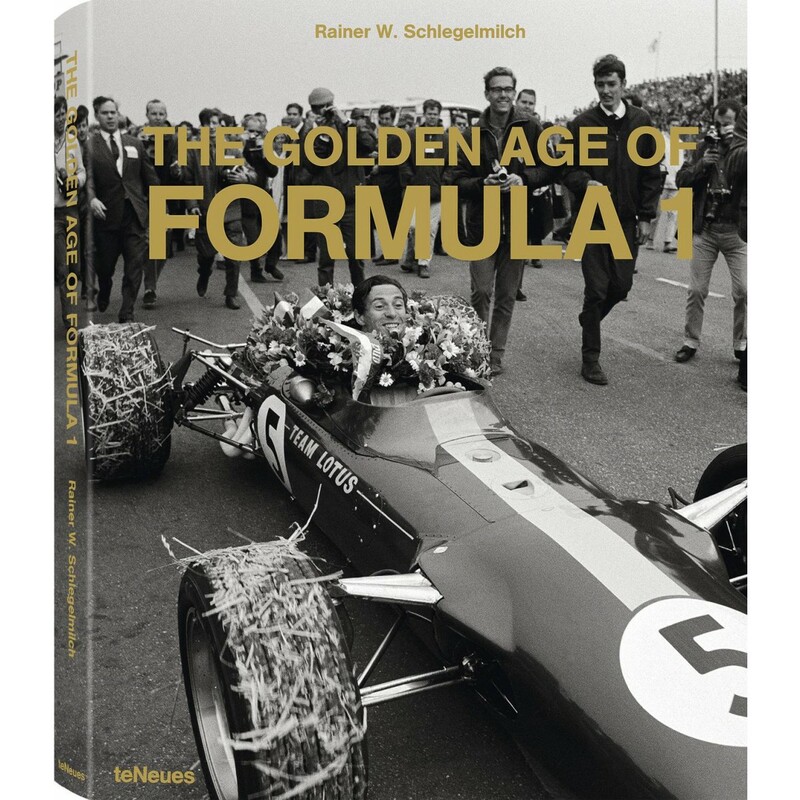 With Schlegelmilch’s compelling photographs, this exceptional volume takes fans so close they can almost smell the burning rubber and hear the engines roar! Rainer W. Schlegelmilch has been a motor sports photographer since 1962. His expert lens has covered all the great names in racing. His unique style captures the drama of this action-charged sport. Classics of automotive history, more exquisitely rendered than ever before “Beetle,” “Black Widow,” and “Pony”—true gearheads don’t think of animals when they hear these names Please, no honking! Readers will be in seventh automotive heaven Nicknames have to be earned. They are tokens of appreciation given only when people have built a special relationship to something (or someone). 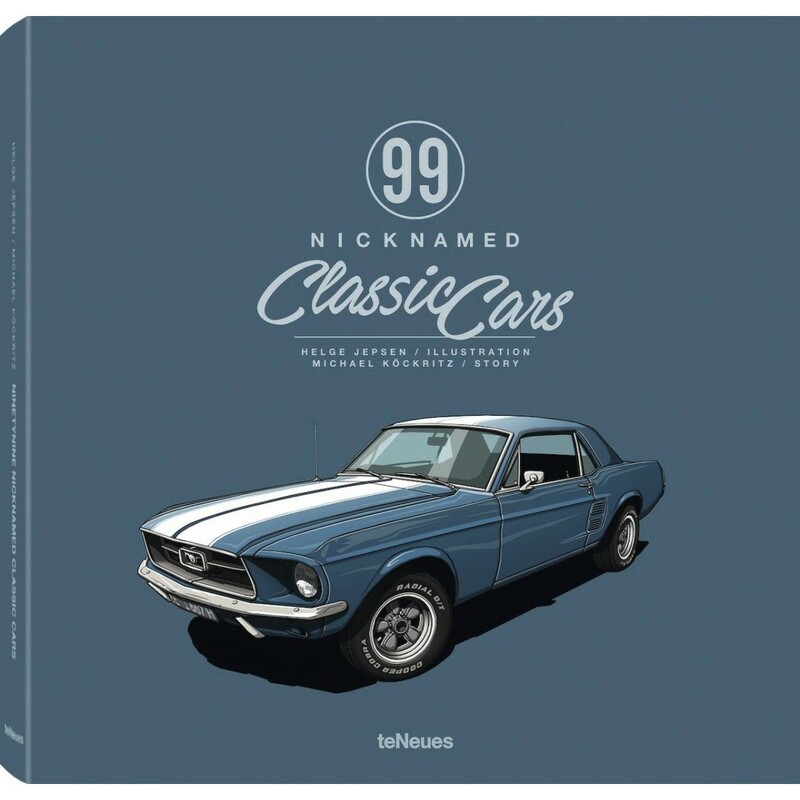 From the Chevrolet 3100 Pickup “Bubble Maker” and the Citroën DS “Goddess,” all the way back to Ford’s “Tin Lizzy,” this book presents ninety-nine classic cars and race cars, illustrated with great talent and affection by Helge Jepsen, with informative texts cleverly penned by Michael Köckritz. Just like the vehicles portrayed, this book will drive its way right into the heart of any car lover. When Ferdinand Porsche could not find a sports car he liked, he decided to build one himself. And now, the rest is history: Jerry Seinfeld drives it; Boris Johnson admires it; Steve McQueen loves it; and Jeremy Clarkson hates it. The Porsche 911 moves the world. Despised by many in Germany as a set of wheels for fat cats, it is the favorite car of free spirits and intellectuals in the U.S. and across the globe. The Porsche 911 was not just invented by one of the most fascinating and controversial families – it is also a technical meisterwerk. Since its launch in 1963, the 911 has built a reputation for itself as “the thinking man’s sports car.” Both a car and a cultural icon, it has earned a fan base that spans from young to old, East to West, connoisseur to enthusiast. Porsche 911: The Ultimate Sportscar as Cultural Icon explains how this German car became a global phenomenon and a symbol of aspiration, freedom, and the appetite for perfection, and even more, why, around the world, the 911 continues to fascinate gentlemen, ladies, and rogue drivers. 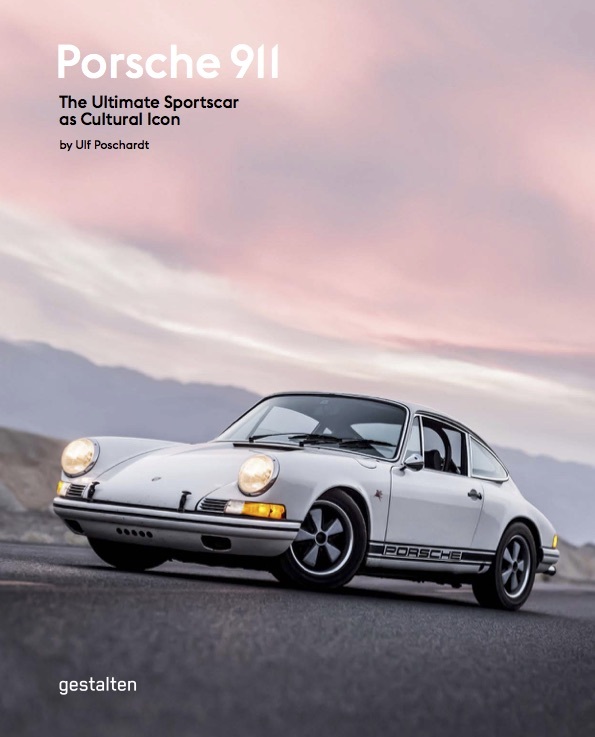 In this book, Ulf Poschardt sends Porsche drivers to the shrink and concludes that a little narcissim can be a healthy thing; he then takes them on an engaging journey through the checkered history that defines their pride and joy. Not everyone can, nor indeed should, drive a Porsche, but Porsche 911: The Ultimate Sportscar as Cultural Icon lays bare the raw driving force behind the 911 for anyone intrepid enough to discover. The exciting history of a major brand: from the legendary ŠKODA 935 DYNAMIC to stars from ŠKODA’s current portfolio – Driven by Design “Everything needs a soul - at least everything that’s supposed to have meaning.” This is one of the guiding principles for the ŠKODA Design team and the jumping-off point for Driven by Design, which takes the reader on an exciting and emotional journey into the DNA of the Czech auto manufacturer. Since its founding over 120 years ago, the company has successfully captured the spirit of every era while simultaneously creating vehicles of timeless beauty throughout its long, rich history. 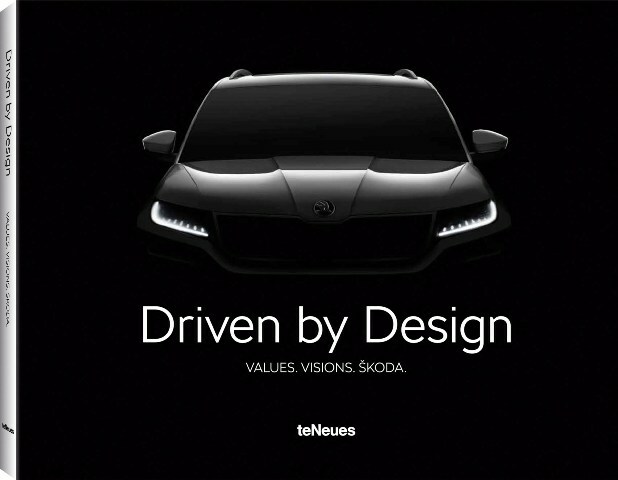 Driven by Design provides thrilling insights into the vehicle design and development process. We’ll look over the designers’ shoulders during the crowning moments of their long journey from a vision to a finished product, from idea to ideal: inspiration, sketch, sculpture. The bar is set high – to create cars with character that appeal to all five senses. This aspiration has been perfectly realized in the new KODIAQ SUV, a vehicle that combines breathtaking design, functionality, and comfort while remaining decidedly and distinctively a ŠKODA. Thanks to Driven by Design, we know how such masterpieces are made. ŠKODA is one of the world’s oldest auto manufacturers. The company was established in 1895 by Václav Klement and Václav Laurin and initially used the founders’ last names as the company name. The headquarters, however, have always been in Mladá Boleslav, northeast of Prague. ŠKODA vehicles have always been known for their emotional and contemporary design: from the hand-built ŠKODA 860 (1929–1933) and the ŠKODA POPULAR MONTE CARLO (1935–1938) to the ŠKODA OCTAVIA COMBI (1961–1971). On April 16, 1991, “ŠKODA Automobil AG” became part of the Volkswagen Group. But one thing has never changed: ŠKODAs do more than move people; they move dreams as well.